Do You Have Enough Forage This Year? This page helps you find the answer to that question. First, you need to determine how much forage you will need this year. This depends on the type of livestock you keep, number of head, age, weight, level of production, etc. Then you need to determine how much forage you have on hand. You need to know the volume of your storage and the density of the forage. 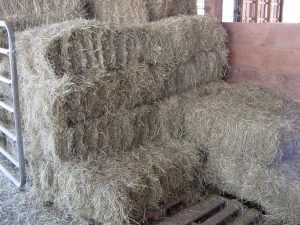 These tables detail forage needs on a hay equivalent basis of 88-90% dry matter; conversion to 35% dry matter silage can be done by multiplying the table contents by 2.6 (90% dry matter hay/35% dry matter silage). Please note Table 1 details TONS of forage required per month and accounts for feeding losses in dry matter. 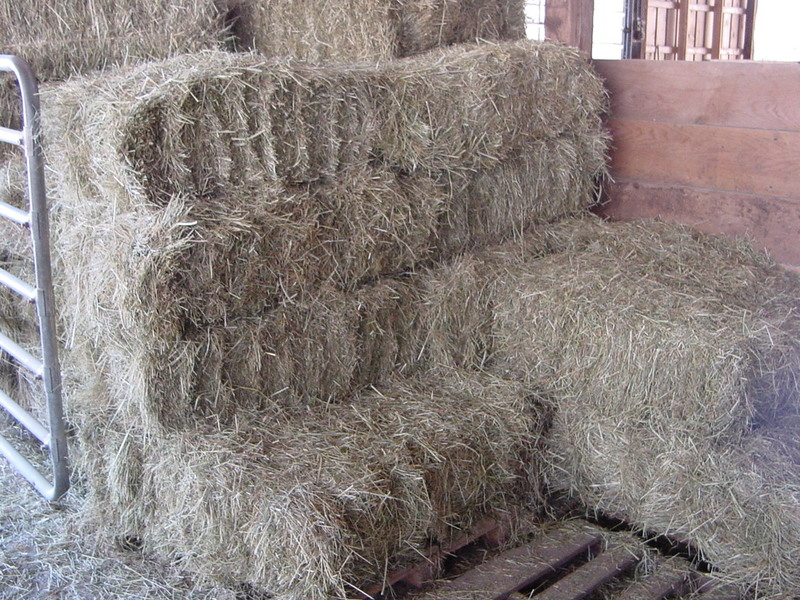 Table 2 details POUNDS of hay per day/month/number of bales per month. An additional 5-15% loss in forage dry matter will occur during storage depending on forage management. Source: 1992 Interactive Television Dairy Nutrition Course Notebook, UMCE. It is assumed that one mature cow represents an animal unit or 1,000 pounds. The comparative feed consumption of other age groups or species of animals determines the proportion of an animal unit that they represent. Source: Feeds and Nutrition, M.E. Ensminger, J.E. Oldfield, W.W. Heinemann, Ensminger Publishing Co., 1990. Cu. Ft./ Ton Lbs./ Cu. Ft.
8 ft. 12 ft. 16 ft. 20 ft. Source: Managing Dairy Feed Inventory, University of Wisconsin, W. T. Howard, V. Wagner, and H. Larsen. *Capacities allow one-foot unused depth for settling in silo up to 30 ft high and one additional foot for every 10 ft beyond 30 ft height. Source: ASAE (1985) as presented in, Silage and Hay Preservation, NRAES – 5. Apply nitrogen fertilizer to grass fields after first cutting, if cut before July 1. Consider implementing an intensive grazing program and extend the grazing season into late fall and early spring to reduce stored forage needs. Prepared by Donna R. Coffin, Extension Educator, and Gary Anderson, Extension Specialist, University of Maine Cooperative Extension. Reviewed by Rick Kersbergen, Extension Educator, Gary Anderson, Extension Specialist, and David Marcinkowski, Extension Specialist.